Truck loans or drone loans? It’s fair to say that truck technology has not progressed at lightning speed over the last 30 years. Trucks – whether small ones or ‘big rigs’ – don’t look very different today than thirty years ago. And notwithstanding some improvements in handling (if you haven’t seen the Jean Claude Van Damme Volvo commercial you should watch it here) and fuel efficiency, there haven’t really been too many big changes in technology. That might be about to change thanks to a small number of tech companies, mainly but not exclusively based in the US (there’s one in Volvo’s home country – Sweden). You’d be right in guessing that where there are potential massive leaps in automotive technology, Elon Musk from Tesla is not far away. Last month (April) he let slip via Twitter that Tesla is proposing to launch a semi truck in September. Of course the truck will be electric powered, but it will also incorporate ‘autopilot technology’ which will take a chunk of the hard work off the driver, although Tesla is still saying that a driver will still be needed, at least ‘in the short term’. Musk is looking to address the big issue of truck driver fatigue and reduce the number of accidents attributed to this, although he admits that regulators in the US will need to see a lot of data on the safety of any new autopilot controlled truck before allowing any driverless versions out there. There are also plans to produce a pickup truck in the next two years. He’s clearly serious about the truck side of things, having brought an ex Daimler exec called Jerome Guillen in to head up the program. Running an electric truck has one major drawback however, pointed out by rival truck manufacturers, and that is range. Even with a huge battery array, which trucks shouldn’t have any problem accomodating in the trailer section, a purely electric truck is unlikely to be able to travel more than 500kms before running out of power, and this is a way short of what many truck drivers have to do in a day (often more like 1000kms). Rival manufacturer Nikola Motor Company has an answer for the problem – supplement the batteries with a hydrogen fuel cell, which boosts the range to a much healthier 1600kms. Obviously not restricted by US regulators in its home country, Swedish company Einride has a more ambitious goal than Tesla, with plans to get its fully electric and fully autonomous vehicles, called T-Pods (which can move 20 tons of cargo 200kms on a single charge) on Swedish roads by 2020. They are also hoping to roll out a ‘test fleet’ on public roads in Sweden as early as next year. Finally, UPS is approaching new technology for trucks from a completely different direction – testing out combining their delivery trucks with drones to make deliveries quicker and reduce fuel consumption. The way it works is that a delivery truck has a drone installed in the trailer roof, and when the truck arrives at one delivery destination where there are other deliveries needed close by, the driver delivers to one location in person, while the drone drops off the other deliveries at the same time. 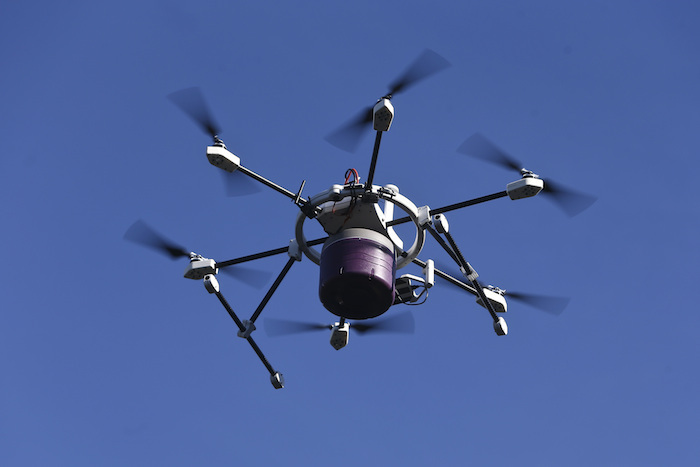 The drone, called the Horsefly, has been developed in conjunction with drone tech company Workhorse Group, and will be fitted to new lithium-ion battery powered electric delivery vans. Whichever way you look at it, tomorrow’s truck could be a much different proposition from today’s! And remember, when you need to buy that first fleet of drone equipped and/or autonomous trucks, give us a call at Ezilend to arrange the truck finance. We’ll get one of our robots to help you out!